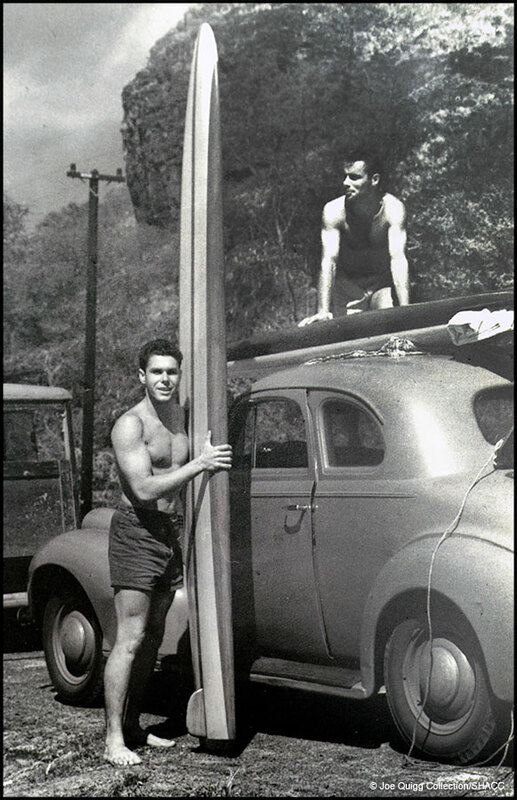 Born in Los Angeles in 1925, Joe Quigg ranks among one of the most important surfers and surfboard builders of the modern era. 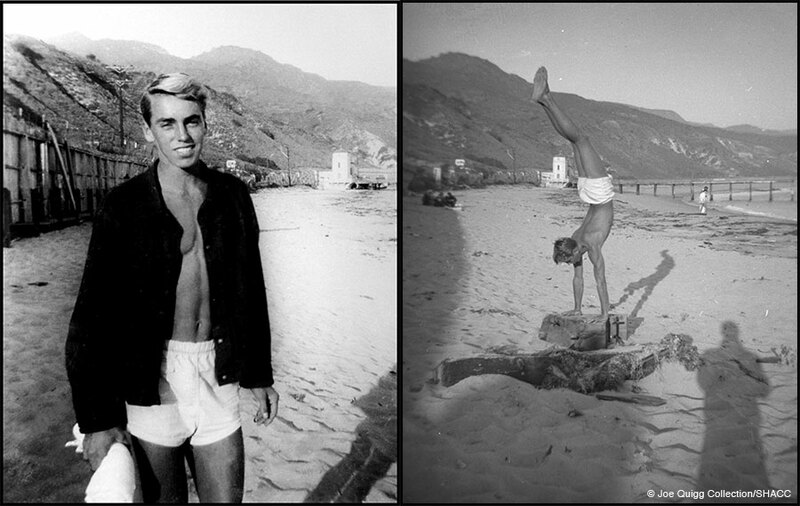 Growing up in Santa Monica, he first took to the water when he was only four years old, building himself a crude billboard. 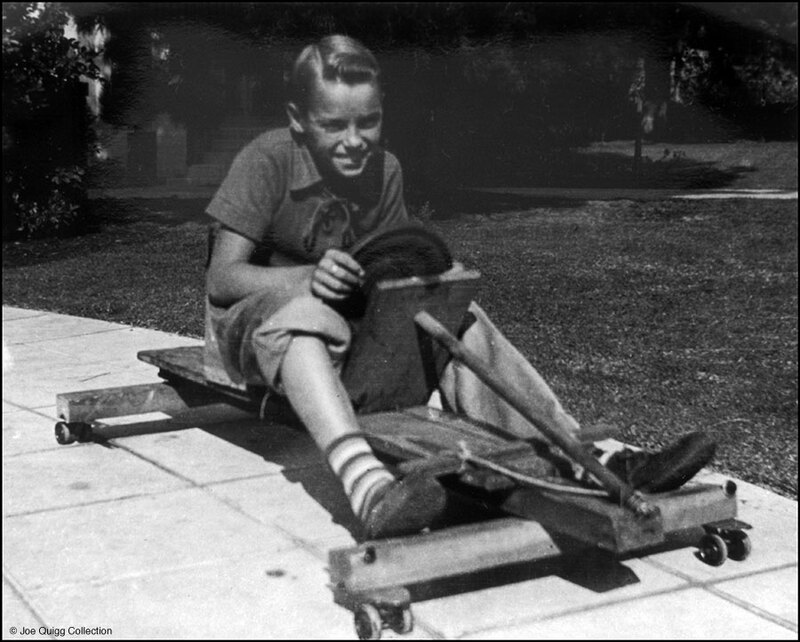 By the time he was 13 years old he had made his first redwood board, complete with a preliminary attempt at creating nose and tail rocker. 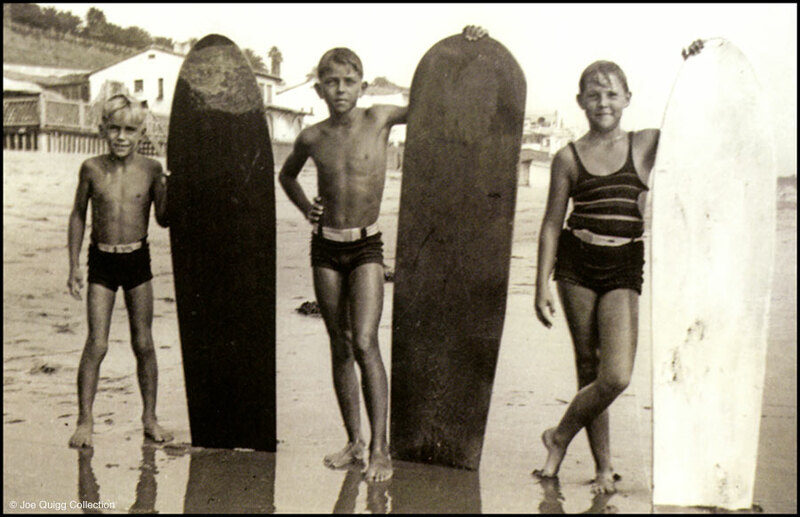 Years later, Quigg would say that his early experiments with rocker was his greatest contribution to surfboard design and performance. 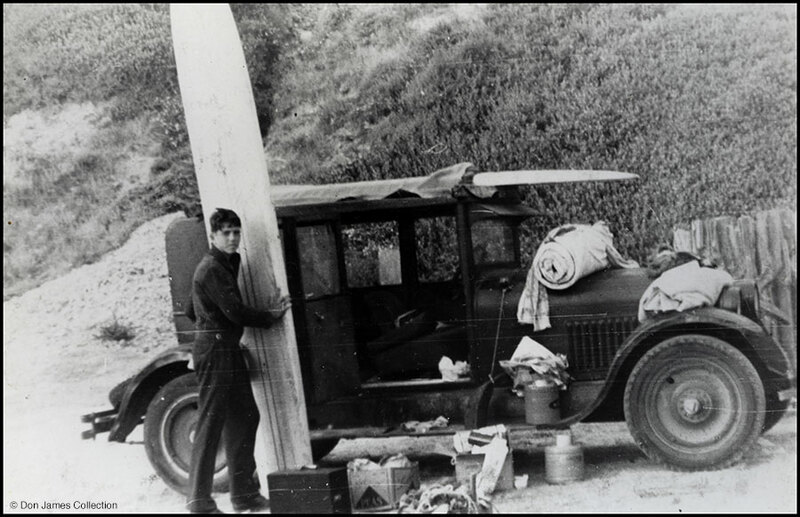 Highly influenced by pioneering watermen such as Pete Peterson, Lorrin “Whitey” Harrison and Gard Chapin (Miki Dora’s stepdad), Quigg fell right into the L.A. surf life of the 1930s. 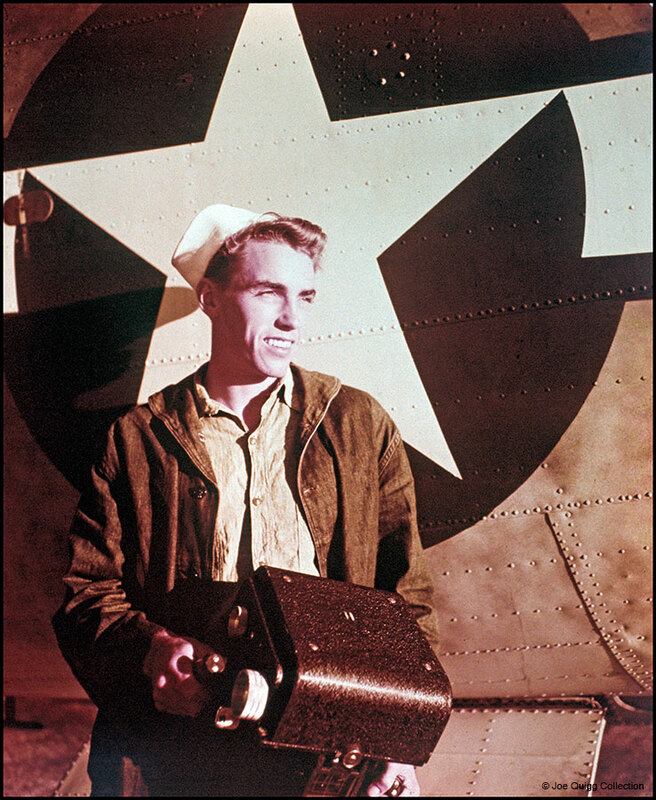 During World War II, Quigg spent four years in the Navy, eventually returning to Santa Monica in 1947. 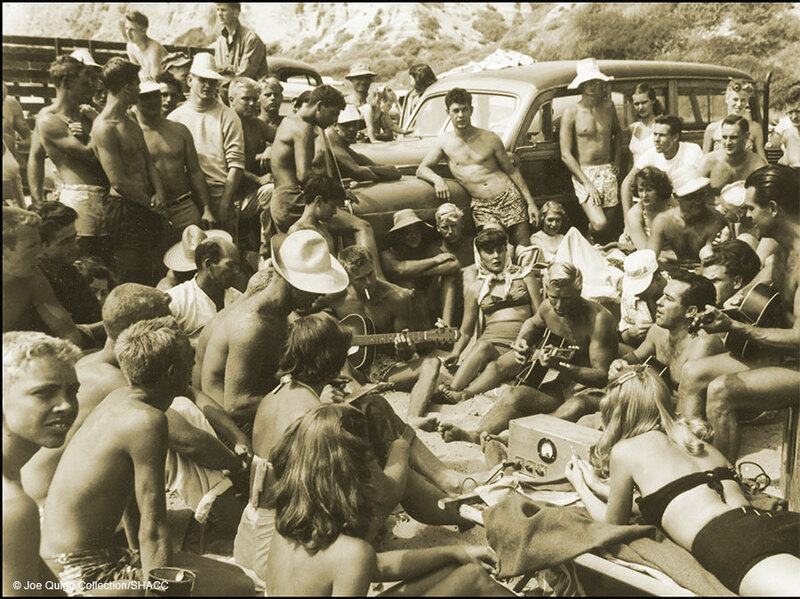 It’s during this time after the war that Quigg began focusing more of his time around Malibu and designing boards with the likes of Bob Simmons and Matt Kivlin. 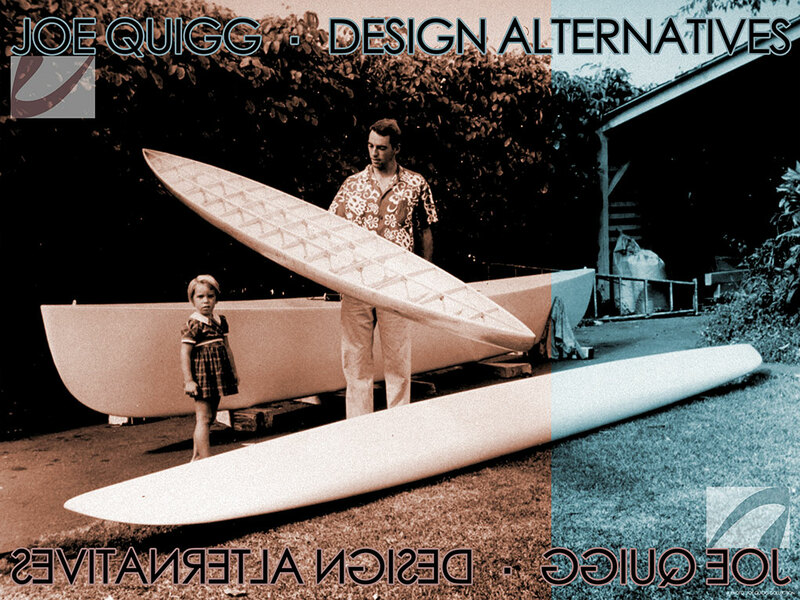 Quigg opened a production-retail surfboard shop in Santa Monica in 1950, followed by a shop in Honolulu in 1953, after he relocating to Oahu. 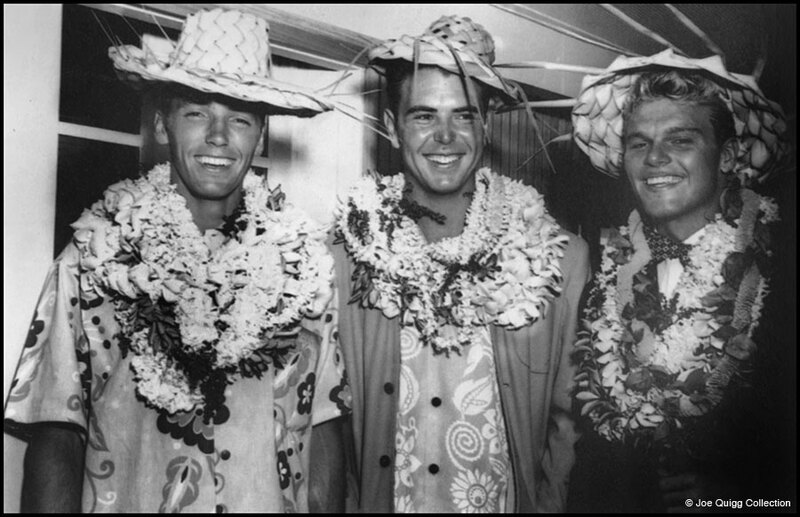 He moved his shop to Newport Beach from 1959 to 1969 before returning back to Hawaii. ”I feel these three guys (Joe Quigg, Matt Kivlin and Tommy Zahn)were largely responsible for the first complete combination of good stuff. That first board I built for Zahn was lighter, had nice rails, and a blended rocker. 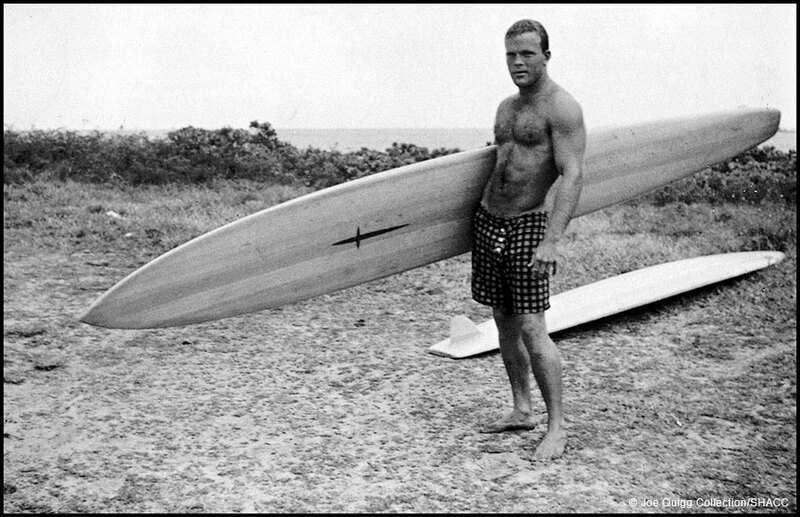 He’d put up money [for us] to try stuff, like the first paddleboard, and the first rocker board. He had that ‘let’s go ahead and do it’ drive. 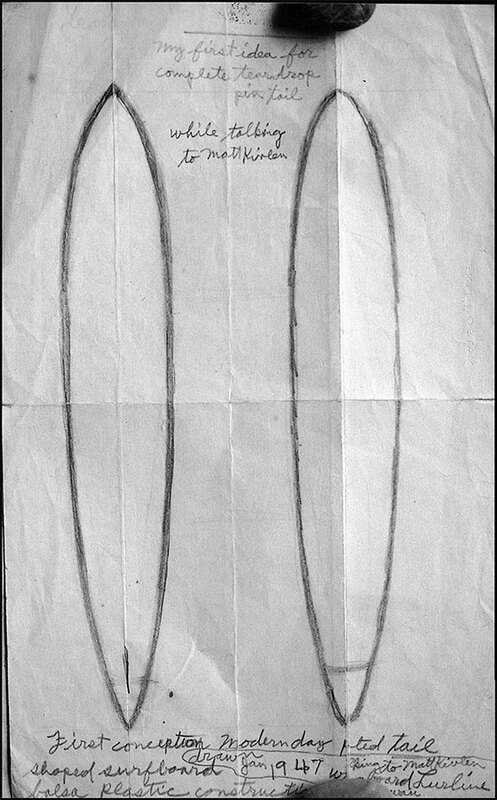 We learned to make an entire surfboard in a day. 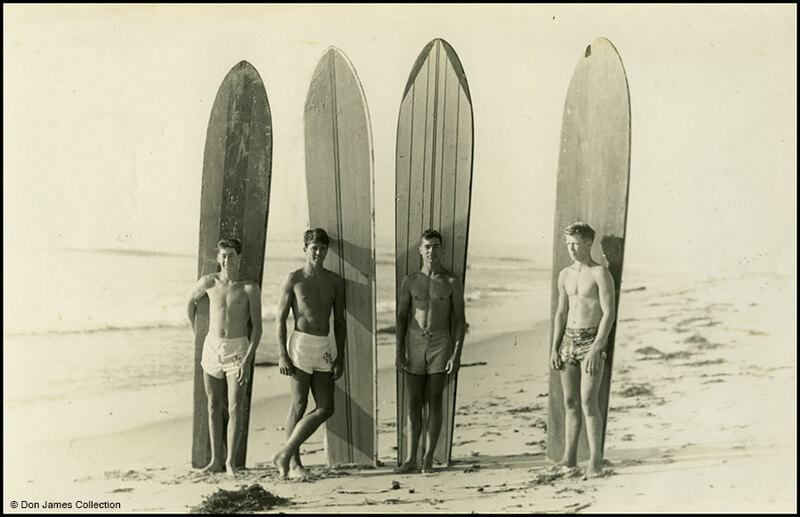 We could shape a board in the morning and we could get a board hot-coated well enough that we could go up to Malibu for the evening glass-off and try it out. Ideas were evolving that fast. 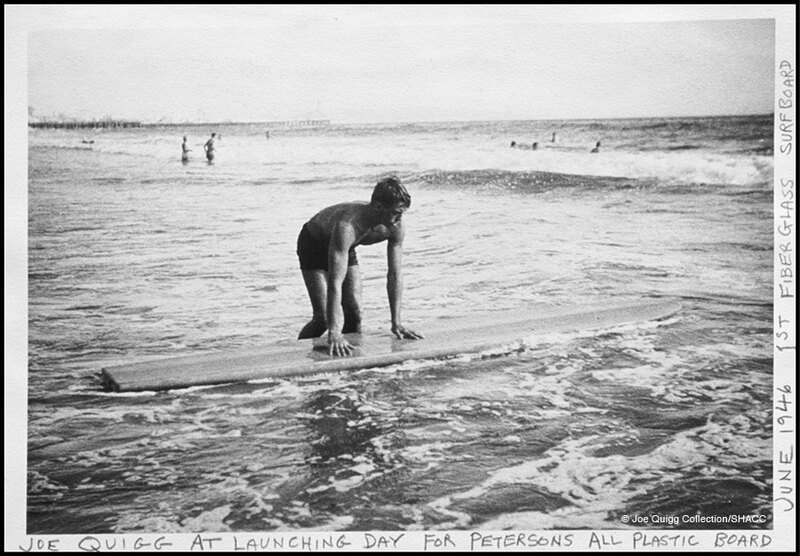 ”In lieu of a tow-in, Buzzy (Trent) ordered this semi paddleboard to get into those outside breaks. He would train at holding his breath longer. 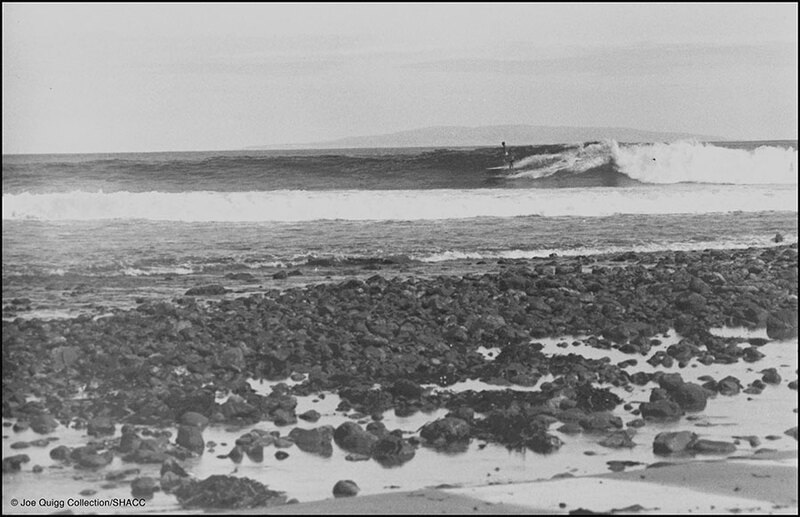 He was searching for a way to cope with monster waves. My board was half the weight of Buzzy’s board. I described it in my notes. 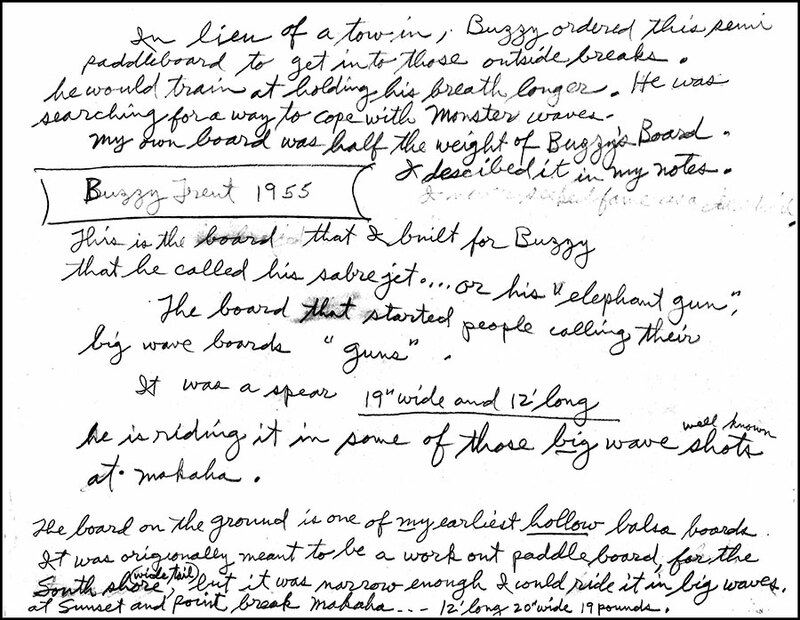 It was a spear, 19” wide and 12′ long. 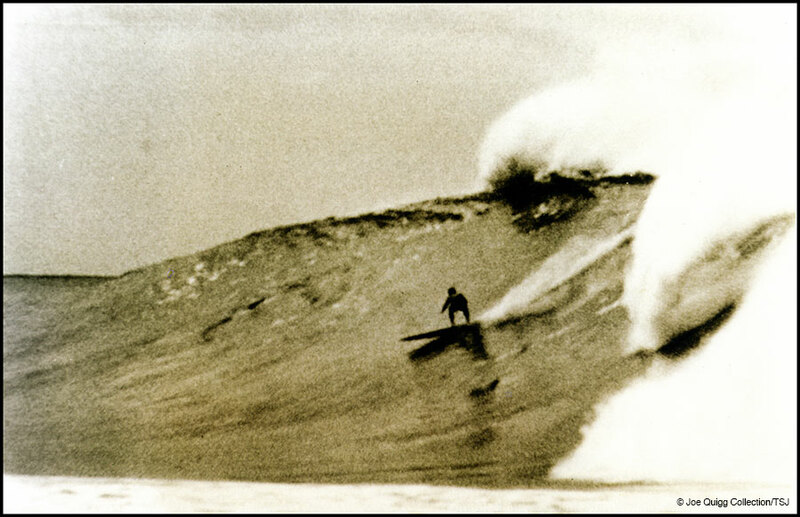 He is (seen) riding it in some of those well known big wave shots at Makaha.